The poultry sub sector is important in agricultural growth. It is a significant source of proteins in household’s nutritional needs, thereby improving people’s diets. The sub-sector is an attractive economic activity especially to women and the poor. 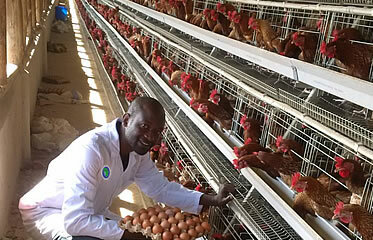 In the recent times, poultry farms in Uganda have been growing fast. With a high population, income growth and urbanization, the demand for poultry products is expected to increase in the future, leading to an increase in poultry farms over time. To drive transformative skills, knowledge, technology, innovation, SMEs (Small-Medium Enterprises) and services into the poultry industry and in partnerships, continuously improve production, health, employment, community wellbeing and economic growth. Minimum Programme Duration:Two weeks for short courses, one year for certificates, two years for diplomas, and three years for degrees. Target group: Those interested in building attractive industrial, business, professional and service careers associated with the poultry production industry.